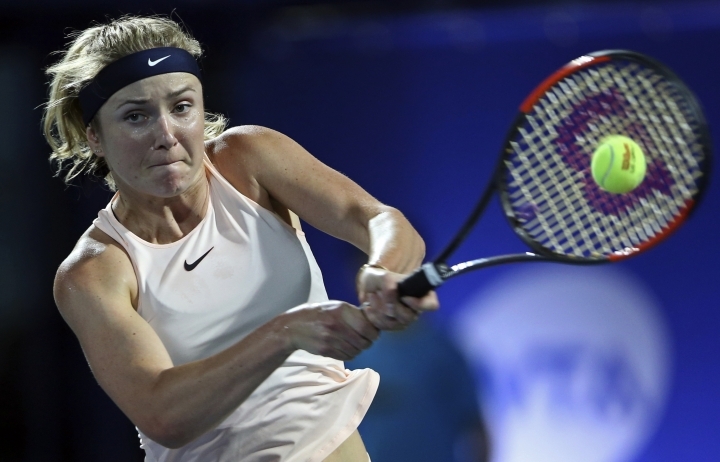 DUBAI, United Arab Emirates — Defending champion Elina Svitolina needed more than two hours to overcome Qiang Wang 6-1, 5-7, 6-2 Wednesday and reach the quarterfinals of the Dubai Championships. However, French Open champion Jelena Ostapenko's slumped to her sixth loss in nine matches, and fourth opening-match loss of the season. The 20-year-old Latvian, who had a bye in the first round, lost 6-1, 7-5 to Russian veteran Elena Vesnina. Sixth-seeded Angelique Kerber of Germany ousted 2016 champion Sara Errani of Italy 6-4, 6-2, while No. 5 Caroline Garcia of France won by an identical score over Ekaterina Makarova of Russia. The top-seeded Svitolina had to save two break points in her first service game but then cruised through the rest of the opening set in 27 minutes. 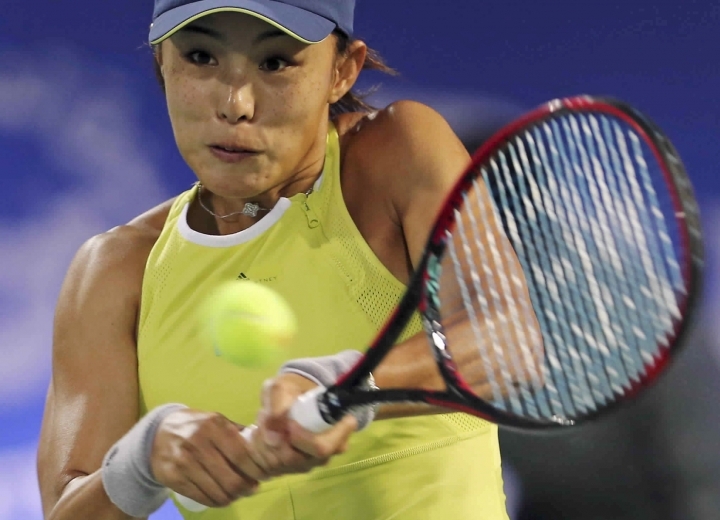 However, Wang broke in the 11th game of the second to level the match and Svitolina could clinch the win after 2 hours, 10 minutes. The Ukrainian hit 53 unforced errors against 26 from her opponent, but also produced 38 winners and saved nine of the 11 break points she faced. "I didn't expect it to go to a third, but I always try to expect the unexpected," Svitolina said. "I was a little bit angry at myself that I didn't bring my best game in the end of the second set. I had to accept that and bounce back. But I was very happy with the way I was playing. In the end, the win is the win." Svitolina will play Japan's Naomi Osaka on Thursday for a place in the semifinals. In late matches, second-seeded Garbine Muguruza of Spain beat American teenager Catherine Bellis 6-3, 7-5, while No. 3 Karolina Pliskova overcame Carla Suarez Navarro 5-7, 6-2, 6-4. Russia's Daria Kasatkina saved two match points in the second set before rallying to beat British wild-card entry Johanna Konta 4-6, 7-6 (6), 6-2 after a marathon encounter in which the second set alone took 76 minutes.